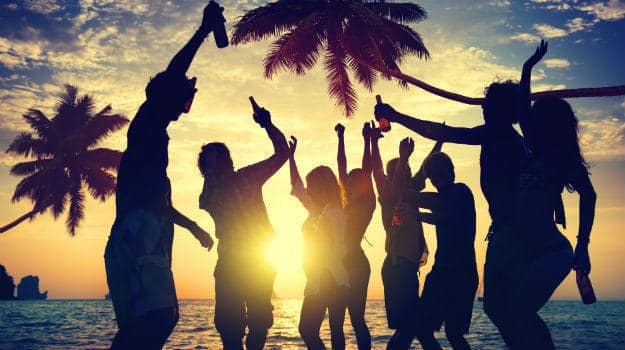 Visit these places in Goa with your gang. How can one forget the fort where Aamir Khan, Saif Ali Khan and Akshaye Khanna sit looking at a ship in the sea talking about their future? Dil Chahta Hai not only changed the way modern films are made in India, it also made youngsters fall in love with Goa. 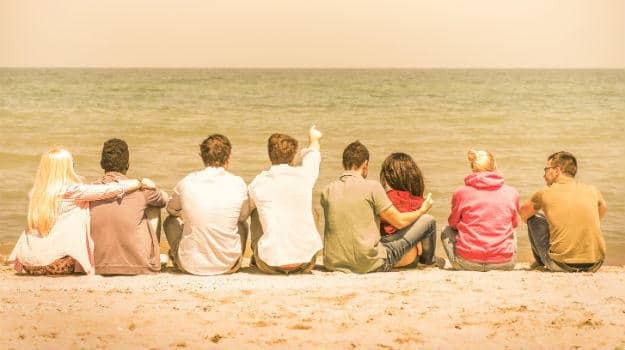 Just like the three friends in the film take a trip to this wonderful beach destination, several youngsters started taking a road trip to relive their moments from the film. Chapora Fort provides one of the best sunset views in Goa and is an ideal place for friends to hang out, take pictures and just look at the sea and the horizon while the sky takes majestic colors and forms as the evening progresses. Located in Bardez and rising above the Chapora river, the Chapora fort is right next to the Vagator beach which has some great options for eating and drinking! 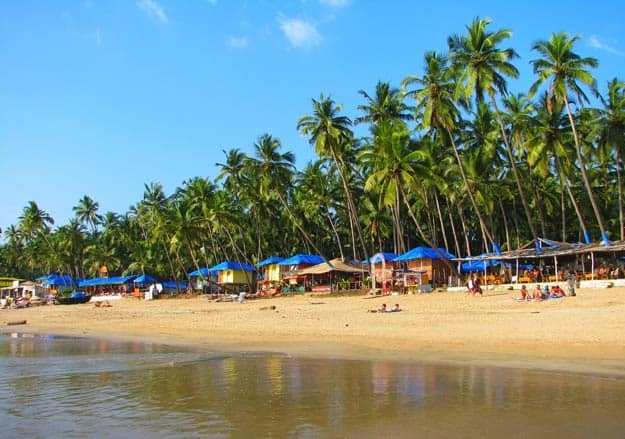 Anjuna beach is one of the most iconic beaches of Goa. Once the humble abode of hippies, Anjuna can take credit for Goa’s popularity across the globe. While the hippies may have long gone from Anjuna thanks to the growing number of tourists here, it is still one of the best places to hang out in Goa. In Anjuna, Curlies is one of the most popular and coolest places to spend your evening and better part of your night at. It serves great food and drinks and also hosts the occasional parties where you can dance your troubles away. It also provides a fantastic view of the setting sun. The ambiance at Curlies is truly one of friendly get-togethers. In a lot of ways, Curlies is a melting pot of cultures with tourists from various parts of the world coming together and sharing their experiences with one another. The nearby flea market is an added bonus. Located in Vagator, Katzensuppe is not very popular among new tourists and is therefore, a great place to enjoy fewer crowds. It serves great drinks and food and has a neat dance floor with foot-thumping music. The crowd you see here are all friendly travelers and happy locals letting their hair down. With your gang of friends, Katzensuppe can serve as a fantastic place to party the night away. 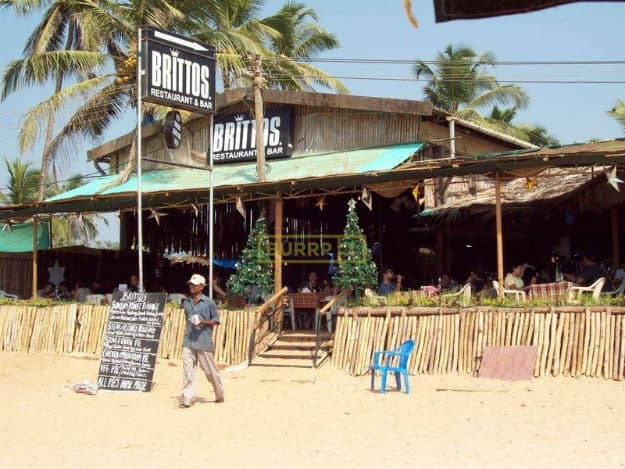 Known as one of the best beach side cafes in Goa, Britto’s at Baga is a great place to bring in your friend’s birthday or just share some beers with your gang as you watch the beautiful sunset and the lovely sunset sky. If you can manage to get a beachside table, dining at Britto’s can be quite an experience with the candle lights in the dark as you see and hear the waves right next to you. The food is delicious and drinks, like in most places of Goa, are good enough for your and your pals to get the party started. 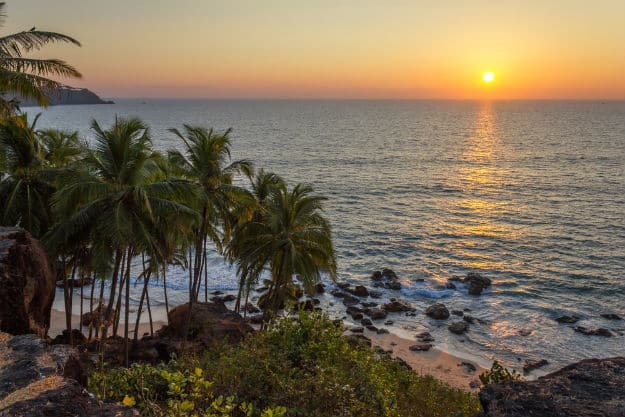 DO SEE 5 most spectacular sunset points in Goa you must not miss! 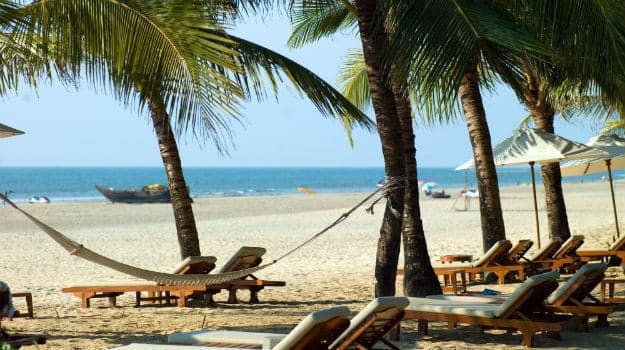 Often dubbed as the most beautiful beach in Goa, Palolem is a great place to hang out in South Goa. Not only is it spectacular and makes you feel like you are in the lap of nature, it is also surrounded by some cool pubs and party spots. Try and get a beach shack room to stay at so that the beach is right outside your door. Take a walk with your pals and if there is that someone special, there cannot be a better place to ask her out. Be part of silent parties where you can just plug in your headphones and have a blast without making any noise. Or just hang out at one of the shacks enjoying your bear and the stunning view of palm trees, hills and the vast Goan coastline. CHECK OUT 51 best night clubs in India for all the party animals! Trance music, amazing atmosphere and mesmerizing lighting… what else can you ask for? Shiva Valley is a beach shack popular for its Tuesday night party and wonderful location. It has emerged as one of the preferred and hep party spots of Goa. It is a cool place for you and your friends to eat, drink, dance and forget your urban worries. It is one of the jewels that make Anjuna such a famous beach in Goa.